MA (Eco. ), MBA, M.Phil., Ph.D.
Dr.B.S.Patil comes with almost two decades of experience in teaching and research in management. He has spent considerable time in research in economics having policy implications. He started his career as Research Assistant and worked closely with eminent economists at various economics research institutes of repute where he was part of many funded and sponsored research projects of various national and international agencies such as IDPAD Netherlands, Ford Foundation, Asian Development Bank, Government of India, Various Ministries of State Governments and a few local bodies. The Institutes he is associated with include Centre for Multi-Disciplinary Development Research (CMDR) Dharwad, Institute for Social and Economic Change, Bangalore. Later he moved to teaching and has served in various capacities including Professor and Director of B-Schools. He has conducted several workshops, conferences and professional enrichment programmes for working executives both in private and public sectors including IAS Officers. 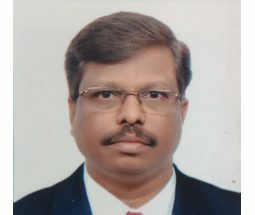 He has published several research papers in reputed peer reviewed journals.